Painting part of John Uzzell Edwards' Swansea 'Crazy' Quilt series. SWANSEA.- A spectacular new exhibition opened at the National Waterfront Museum this weekend. The artistic talent of John Uzzell Edwards is on display with a fabulous series of abstract paintings from his world famous Welsh quilts collection. John, originally from the Rhymney Valley , but who has lived in the Upper Swansea Valley for the past 33 years, has been a keen painter since 1960. His work has always been inspired by Wales and its associated social and industrial history as well as his love for Welsh quilts and blankets. John uses the different patterns, textures, material and rhythms of the quilts to produce his own interpretative paintings. Some of the quilts which have inspired Johns work, and also on display as part of the exhibition, include a Swansea Crazy Quilt, made from scraps of velvet from a pre-war milliners shop in the town, a Llanelli Quilt, made entirely from miners shirts in the late 19th century and a Log Cabin Quilt, which features scraps from womens working clothes from the 1890s including the purple tiny-flowered cotton of maids dresses. Speaking about his love for quilts, John said: As a child growing up in the small mining village of Deri , I always had Welsh quilts and blankets on my bed, so they have been a big part of my family life for many years. When I paint, I don't just copy them, but use the patterns, materials, meanderings and rhythms as stimulation. Andrew Deathe, Gallery Author at the Museum, said: Itll be a great addition to the exhibition programme this season. 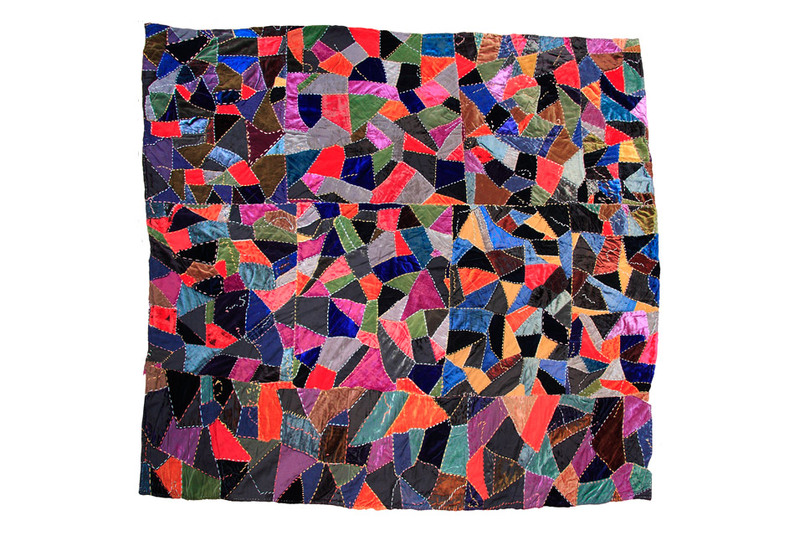 John really captures the warmth and comfort of a quilt as well as the fascinating history behind the scraps of material. On a cold winters day what could be better than cwtching up with these gorgeous paintings?" As well as the paintings, there will be a short film about Johns life as a painter filmed at his studio in the Upper Swansea Valley . Prints of some of John paintings will also be for sale in the Museum shop. John Uzzell Edwards was born in Deri in the Rhymney Valley , South Wales in 1937. He was awarded the Granada Arts Fellowship by York University in 1966 and in 1968 received the Prix de Rome at the British School in Rome . In 1986 he was Artist in Residence at the Glynn Vivian Art Gallery , Swansea and was made an honorary member of York University . In 1988 he was granted an Arts Council of Wales Travel scholarship to study Celtic art in Europe , and has twice been awarded the main painting prize at the National Eisteddfod of Wales. He formed a new group of Welsh painters: Ysbryd/Spirit Wales in 1998. In 1999 he exhibited at the Humphries Gallery, San Francisco ; in 2000 he had the Millennium exhibition on at Tenby Museum and Art gallery; in 2001 at the Mall Gallery, London , at the National Museum and Gallery of Wales, Cardiff in 2003, and in 2004 at MOMA, Y Tabernacl, Machynllyth. For the last three years he has shown at the Euro-Celtic exhibition at LOrient, Brittany . He has exhibited widely both nationally and internationally and his work is represented in many public and private collections in the United Kingdom and abroad. He lives and works near Swansea , South Wales . Susi Kenna and Allegra LaViola Gallery presents Andrea Mary Marshall: "Toxic Women"